Nintendo have today confirmed that FreeStyleGames’ SiNG PARTY will launch for Wii U across Europe on 18th January 2013. 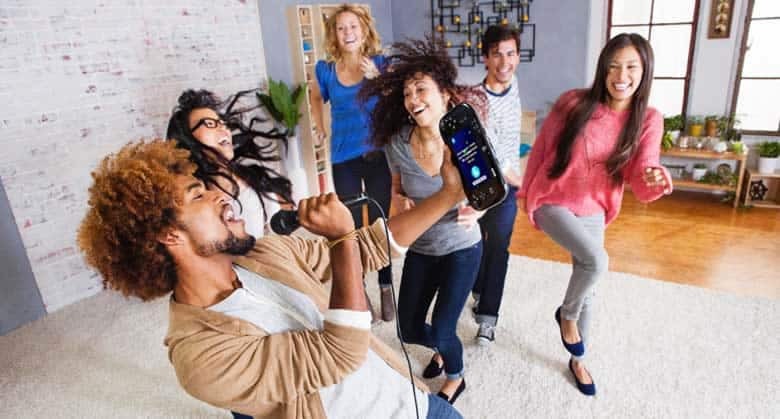 Party mode is at the heart of SiNG Party, with the lead singer using a wired microphone that is included with the game to read lyrics and performance cues from the Wii U GamePad. Whilst they’re doing so, other players are able to join in the performance by following lyrical and dancing instructions on the TV screen. Those that pick up a Wii Remote will also be able to perform with a variety of instruments, such as a tambourine or a cowbell. Currently confirmed tracks include “Call Me Maybe” by Carly Rae Jepsen, “Glad You Came” by The Wanted, “I’m Yours” by Jason Mraz, “Just A Kiss” by Lady Antebellum, “Don’t Stop Me Now” by Queen, “You Can’t Hurry Love” by The Supremes and “I Want You Back” by The Jackson 5, with further downloadable tracks following after launch. Further to this, Sing Mode will allow you to test your vocal qualities and receive real-time feedback, judging your singing ability on Pitch, Power and Flair. You’ll be able to sing Solo or in a Duet, with a Harmony Duet option available to those who are feeling especially confident. Players will be able to pass the Wii U GamePad around to queue songs, or use the mixer to play with the audio. You’ll be able to mute the music, allowing singers to perform a cappella, or tone down the original artist’s voice and add reverb. Team Mode is aimed at those feeling competitive, as you battle for supremacy across several game types. An impartial player can also be appointed to rate each team’s performance, using the Wii U GamePad. Whereas Practice Mode allows you to rehearse songs, with the Wii U GamePad making it easy to select specific parts of the song to then loop. Any awards that you win along the way can then be posted to Miiverse for your friends to see. “It has been an incredible privilege to work side by side with Nintendo on SiNG PARTY and we are extremely proud of the game,” says FreeStyleGames’ creative director Jamie Jackson.